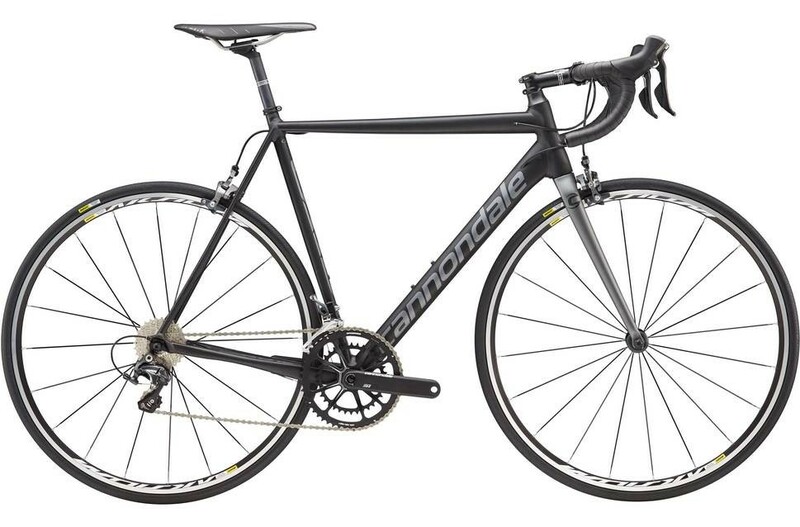 2017 Cannondale CAAD12 Ultegra – 54 and 58 cm available. MSRP $2,199.99 now $1,900! The CAAD12 Ultegra is a speed demon waiting to be unleashed on your competition. Flow-modeled SmartFormed aluminum tubes yield lower weights, radical compliance, and unparalleled stiffness in CAAD12's frame, and race-inspired geometry is ready to contest the sprint. Race-worthy wheels from Mavic are paired with Schwalbe tires so you'll stick corners and sail smoothly. Shimano's 11-speed Ultegra drivetrain lets you attack the flats and smoke your buddies up the climbs, and the Ultegra dual-pivot brakes bring things to a smooth halt when the need arises. High-quality handlebars and stem come straight from Cannondale, and Fizik has comfort locked down with the Arione R7 saddle. 2017 Cannondale Super Six EVO Hi Mod Ultegra Disc – 56 cm. MSRP $4,199.99 now $2,230! The SuperSix EVO Disc strikes the perfect balance of stiffness, aerodynamics, low weight, and smooth-riding compliance. For enthusiasts and racers looking to dominate the course, the Ballistec carbon frame provides stiffness and feather-light weight to help you grab podium spots, win town-line sprints, and reach the peaks of the highest climbs. An Ultegra hydraulic disc drivetrain provides Shimano's lauded 11-speed shifting and braking to send you smoothly down technical descents and quickly to the front of the peloton. Mavic wheels and Cannondale's HollowGram Si crank help you guide you down into the road. 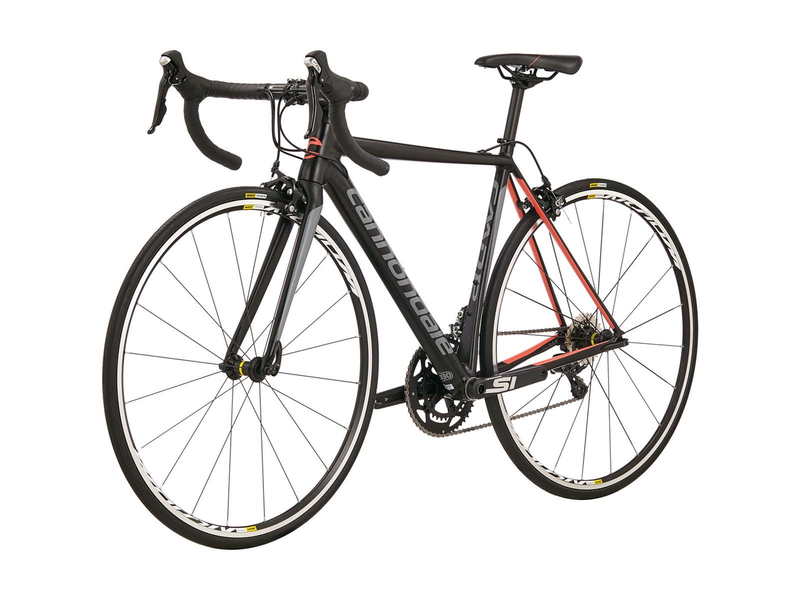 2018 Cannondale CAAD12 Women’s 105 – two 50 cm available, one black, red, and white; the other black and grey (shown). MSRP $1,700.00 now $1,475! Aluminum aficionados everywhere know the truth: carbon isn't always queen. With Smartform C1 aluminum and dialed-in women's geometry, Cannondale's CAAD12 is stiff, fast, and accelerates like a rocket while still being incredibly smooth. Shimano's trusted 105 drivetrain and caliper brakes provide you with precise shifting and controlled, smooth braking. Plus, quality Mavic rims and Cannondale's own handlebar, stem, and seatpost keep weight low. Selle Royal's saddle is plenty supportive while maintaining a sleek profile. 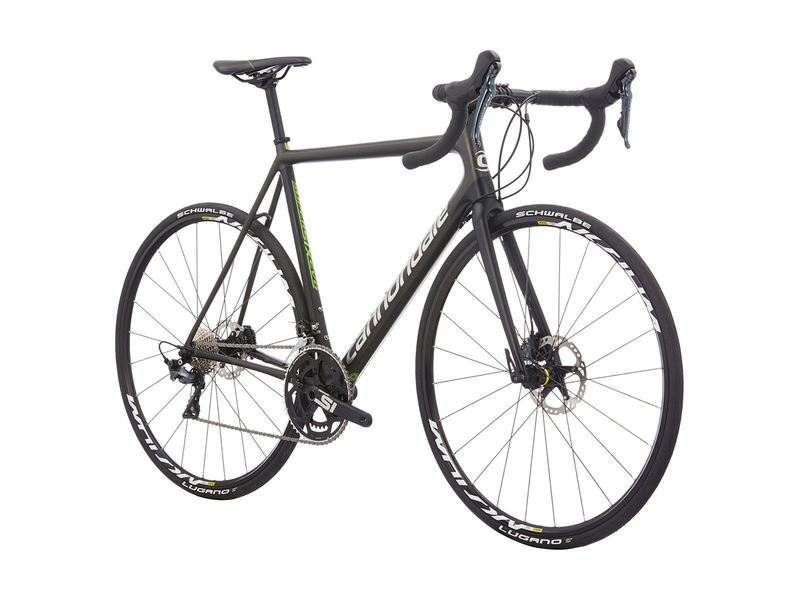 2018 Cannondale Super Six Evo 105 – 50 and 52 cm in black and 54 cm in black and green (shown). MSRP $2,100.00 now $1,800! With its ultra-stiff, incredibly lightweight frame and TAP Aero features the SuperSix is a tough competitor everywhere. This BallisTec carbon frame features Cannondale's Road Race geometry for a responsive and nimble ride n all handlebar positions. The SPEED SAVE fork eliminates all unnecessary weight while optimizing strength. Shimano's 105 drivetrain will get you uphill with ease, and powerful caliper brakes inspire confidence. You'll love the lightweight, fast-accelerating Mavic Aksium wheels and tires, while Cannondale's array of high-quality aluminum components keeps performance on lock. 2018 Cannondale Super Six EVO Ultegra Disc – 50 cm and 52 cm available. MSRP $2999.99 now $2,699! The SuperSix EVO Disc is the ultimate weapon on the course, thanks to its perfect balance between aerodynamics, stiffness, and low weight. You'll sail up climbs and whittle away the descents with superior handling and dialed race geometry. Shimano's Ultegra drivetrain shifts precisely and is balanced by powerful hydraulic disc braking. With lightweight Mavic rims and durable Schwalbe tires, you'll achieve rolling speed fast and stay there. 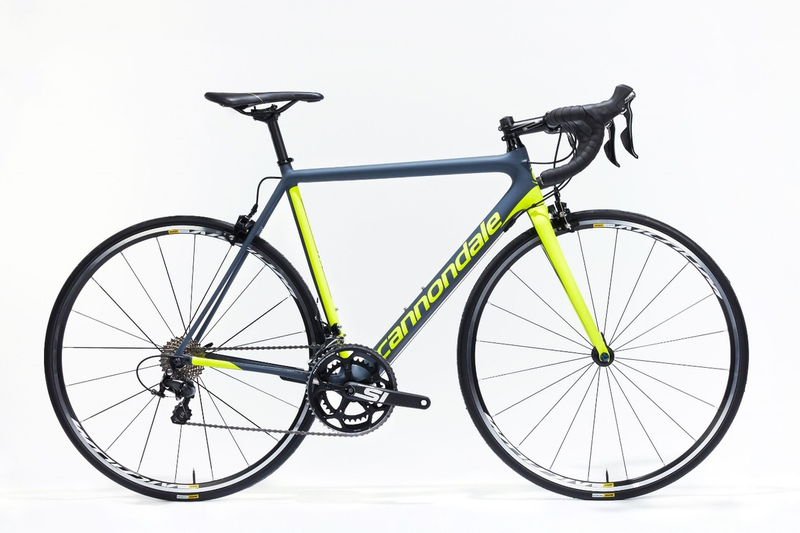 Cannondale completes the build with their own aluminum stem and handlebars, while a Selle Royal saddle provides sleek support for the long haul. 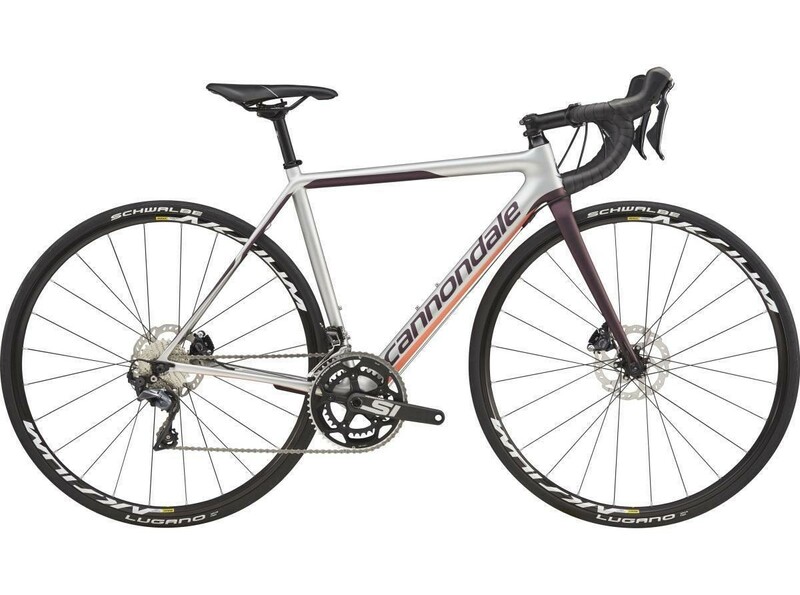 2018 Cannondale Super Six EVO Women’s Ultegra Disc – 44, 48, and 50cm available. MSRP $2999.99 now $2,699! The women's SuperSix EVO Disc offers pure race performance. An ideal balance of weight, stiffness, aerodynamics and smooth-riding compliance sized and equipped for women who race or ride like racers. You'll appreciate the smooth-shifting Ultegra drivetrain, the all-weather reliability of Ultegra hydraulic disc brakes, and the nimble Mavic Aksium wheelset. Cannondale provides their own aluminum stem, C2 Women's handlebar, and carbon seatpost to complete this incredible podium pony. 2017 Trek Emonda SL 5 -- 52 cm. MSRP $2,629.99 now $1,799! Every detail of the Émonda line, from frame design to each component choice on every model, serves the same audacious goal: to create the lightest line of production road bikes ever offered. The entire Émonda line is unbelievably light, with sensational ride-tuned balance and handling that elevate Trek ride performance to a whole new level. 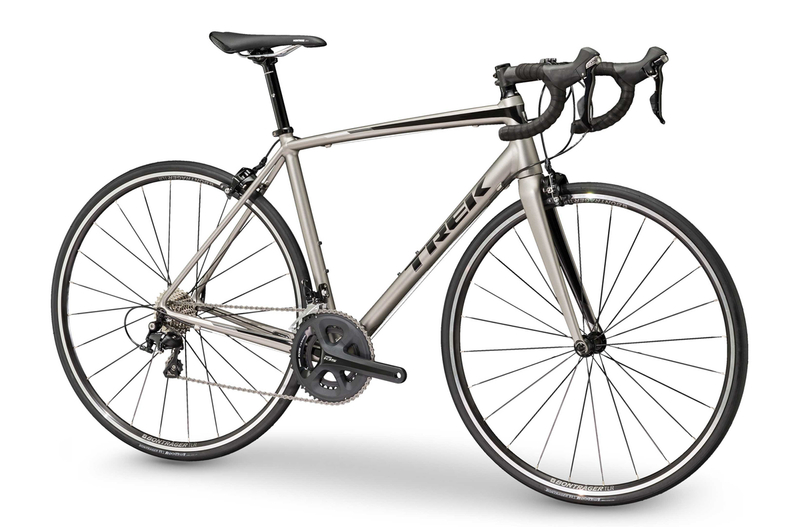 Key Features of the SL 5 include Trek's 500 Series OCLV Carbon for ultra-responsive ride feel, a full Shimano 105 drivetrain, and a bevy of Bontrager compoenents to round out a great enthusiast road bike. 2018 Trek Emonda ALR 5 -- 54 and 56 cm available. MSRP $1,579.99 now $1,349! The Émonda ALR offers elegance on a new level, far surpassing the lightness and performance of many of its carbon competitors. 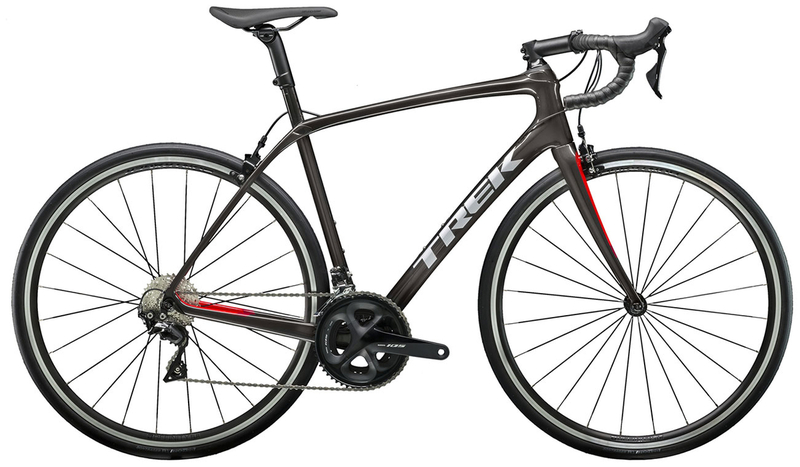 trek's Emonda ALR was voted Best New Road Bikes of 2016 by Bicycling Magazine. 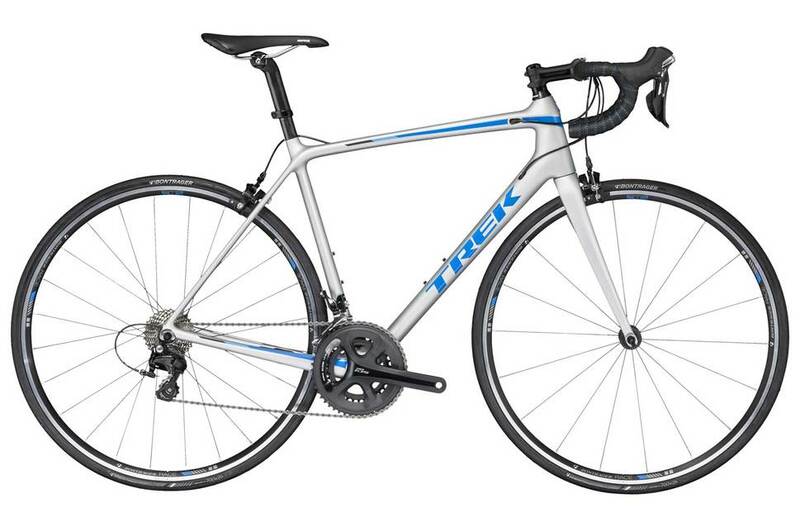 Made of Trek's 300 Series Alpha Aluminum for ultimate light weight and a perfectly balanced, ultra-responsive ride fee. 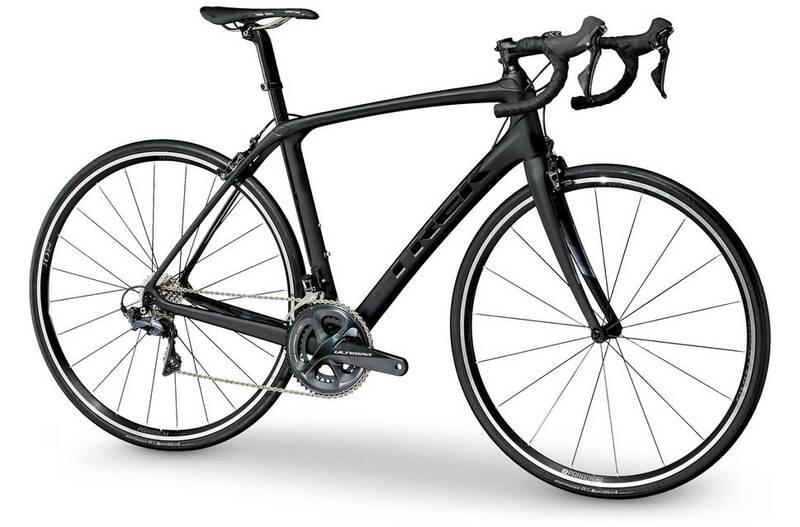 The ALR 5 features a full Shimano 105 drivetrain for smooth shifting and confident braking. 2019 Trek Domane SL 5 - cosmetic blem - 52 cm. MSRP $2,099.99 now $1,899! Domane SL 5 is all about smooth riding, speed, and efficiency. It's the ideal road bike for riders who value the lightweight advantage of carbon and also prioritize comfort and value. Domane SL 5 is the entry point for bikes with both Front and Rear IsoSpeed, and it's equipped with rim brakes and a full Shimano 105 groupset. 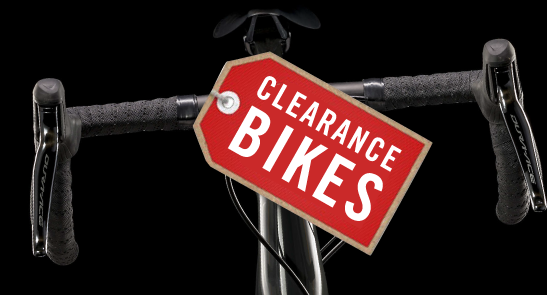 It's right for you if... You want an awesome performance road bike at a great value. Domane SL 5 also has internal cable routing for clean looks, a Ride Tuned alloy seatmast cap, stock 700x28 tires, and a stable Endurance Geometry for comfort on the longest days and roughest roads. 2018 Trek Domane SLR 6 -- 54 and 56 cm available. MSRP $4,999.99 now $4,650! The Trek Domane SLR 6 is built for smooth speed. Built with Trek's 600 Series OCLV Carbon and featuring front and adjustable rear IsoSpeed decouplers, the Domane SLR smooths the roughest roads keeping you going farther, faster. The Domane SLR also has additional tire clearance for wider rubber to let you take the road less traveled when the opportunity arises. And a full Shimano Ultegra drivetrain keeps shifting and braking precise and reliable. 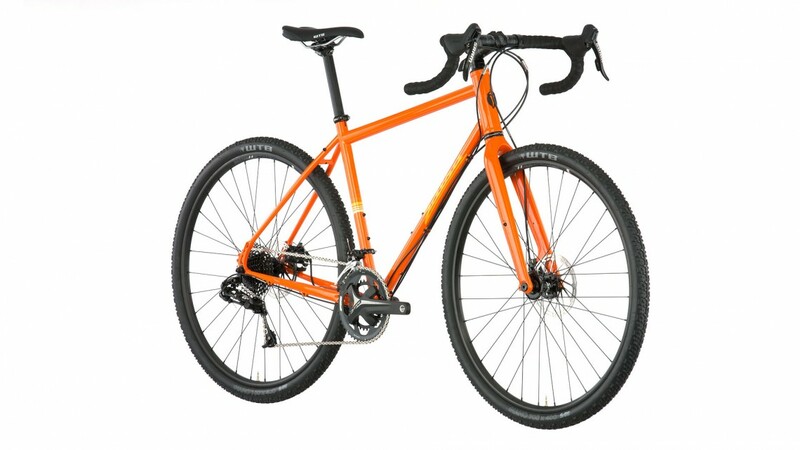 2018 Salsa Fargo GX 29--small and medium available. MSRP $1,799.99 now $1,599! Fargo lives outside categorization and urges you to take the scenic route and have fun along the way. On the Fargo GX you get 29x2.25-inch WTB tires on tubeless-ready WTB i23 rims with the ability to change to either 29+ or 27.5+ as you like. The SRAM 2x10 drivetrain pairs GX derailleurs with Apex shifters to provide ample gearing for loaded backcountry trips, while a pair of Avid BB7 mechanical disc brakes deliver excellent control. The rugged and smooth-cruising chromoly frame is eager to explore all types of surfaces, and the burly Firestarter steel fork is strong and stable on through dicey corners. 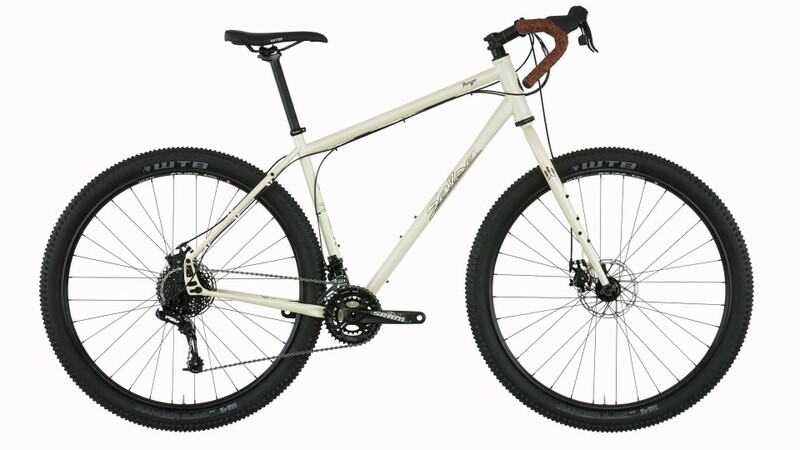 2018 Salsa Vaya Apex--54cm and 57cm available. MSRP $1,799.99 now $1,599! The Salsa Vaya is an extremely versatile bike at home on everything from picture perfect lanes to less than ideal byways. It’s a road adventure and light touring bike built around a vibration-damping Kung Fu chromoly steel frame. Vaya's relaxed geometry provides comfort on any route, while rack and fender mounts provide options for cleanly carrying your necessities on a weekend of adventure. Avid BB7 mechanical disc brakes deliver reliable stopping power in wet conditions, while the SRAM Apex 2x10 drivetrain offers a formidable gear range capable of climbing mountain fire roads and rocketing through the valley below. 2018 Salsa Timberjack--small. MSRP $1,399.99 now $1,299! Timberjack is equally at home pushing the limits on singletrack or bikepacking to places you’ve yet to discover. 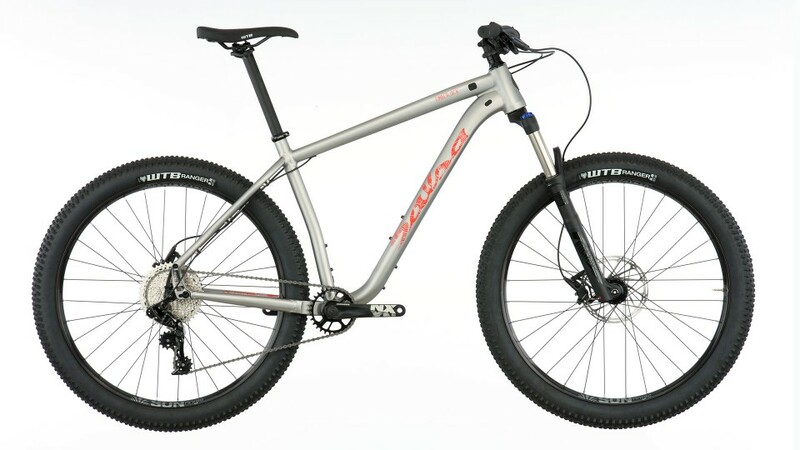 The light, responsive, and durable aluminum frame features modern trail bike geometry and clearance for 29-inch or 27.5+ wheels and tires. Alternator dropouts facilitate diverse drivetrain setups. RockShox handles suspension up front with a 120mm-travel Recon RL fork, and a pair of 27.5 Sun Ringle Duroc 45 rims let those 2.8-inch WTB Ranger tires serve up all the traction you could want. Timberjack GX1 offers a wide-range, 11-speed SRAM NX/GX drivetrain with SRAM DB Level hydraulic brakes. 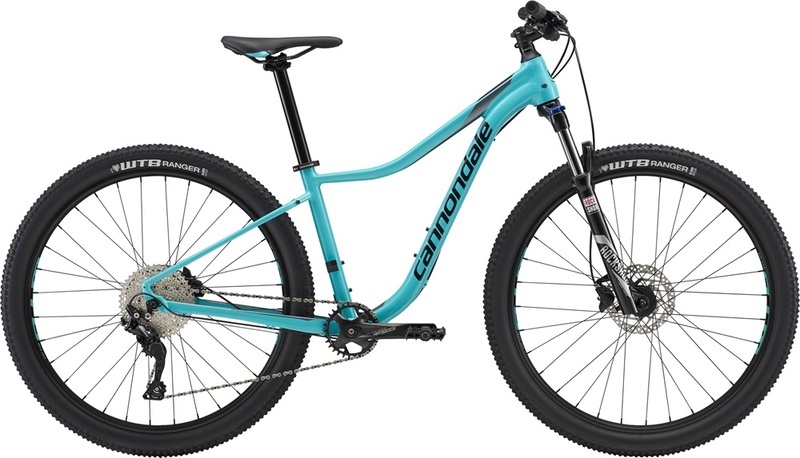 2018 Cannondale Trail 3--large. MSRP $1,355.99 now $1,199! The Trail 3 is a fast and fun, performance-focused, trail shredding machine. Cannondale's C2 aluminum SmartForm frame delivers exceptional stiffness and durability with a trail geometry that strikes the ideal balance between race-level quickness and confidence-inspiring stability. A RockShox Judy Silver fork brings 100mm of trail smoothing travel while durable WTB rims and tires crush the gnarliest rock gardens .Carrying you uphill and down with crisp shifting is the streamlined 11-speed Shimano SLX drivetrain and Shimano hydraulic disc brakes scrub speed reliably in all conditions. Cannondale supplies the bar and stem for a tight-handling front end and a comfortable riding position. 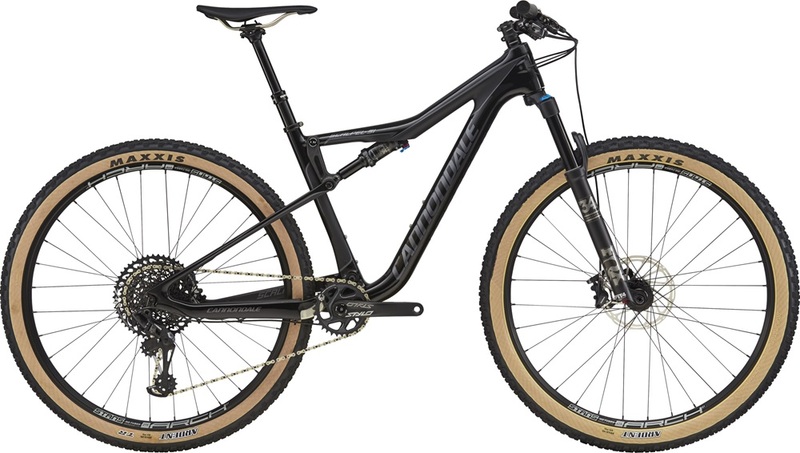 2018 Cannondale Scalpel Si SE 2--large. MSRP $4,499.99 now $3,999! The Scalpel — the ultimate XC race machine. The full carbon frame doles out 115mm of travel controlled by a Fox EVOL shock to keep your rear wheel tracking at high speeds. The venerable Fox Float 34 fork handles the chop up front with another 120mm. You’ll roll fast on a set of Stan’s ZTR Arch S1 wheels, ready to go tubeless with Maxxis Ardents for super fast, high-traction, flat-free racing. SRAM keeps you ahead of the pack with the an Eagle 12-speed drivetrain while their Level T brakes modulate precisely for total control. And, with a ti-railed Fabric Scoop saddle atop a Race Face Aeffect dropper, you’re ready for anything the trail throws at you. 2018 Cannondale Tango 1--extra small. MSRP $949.99 now $849! 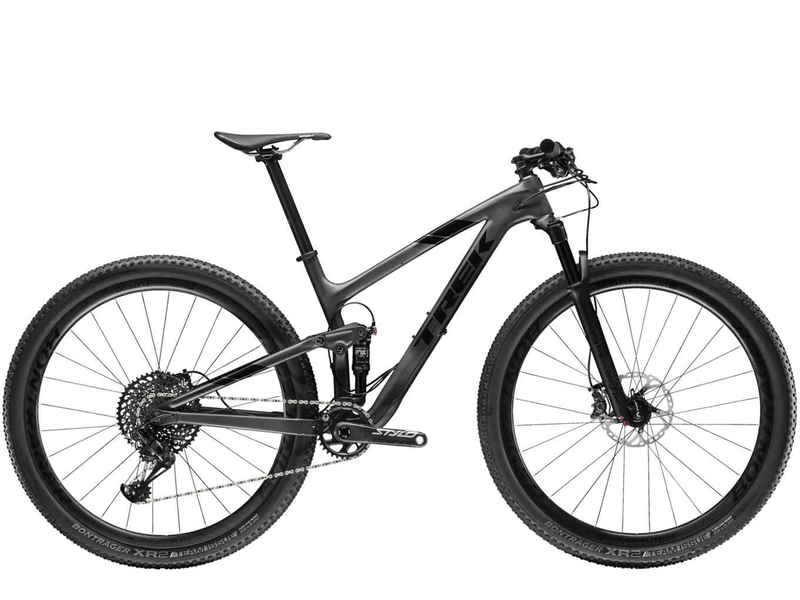 The Tango 1 is built on Cannondale's lightweight and durable C2 aluminum SmartForm frame, offering exceptional stiffness and a nimble ride while the RockShox XC30 fork smooths out the trail with 100mm of travel. Shimano's high-quality 10-speed Deore drivetrain ensures that shifting is precise, and their hydraulic disc brakes provide predictable stopping power in all conditions. 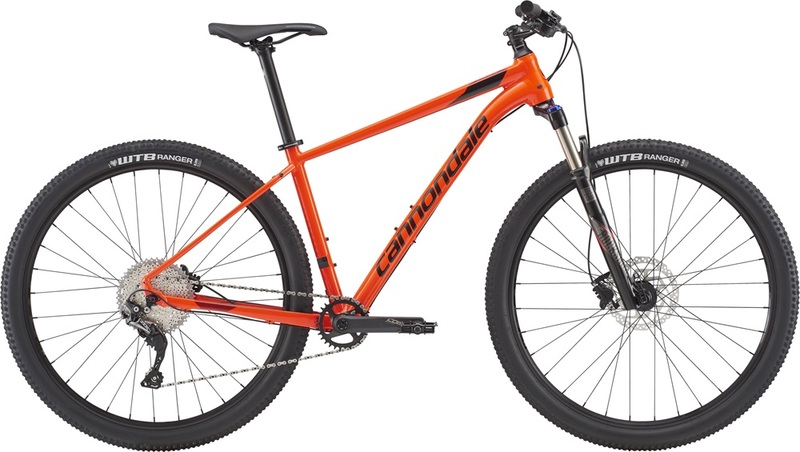 The swift 27.5-inch wheels and trail-gripping WTB tires roll with agile performance and reliable traction on loose and technical trail sections, while Cannondale's saddle, stem, and seatpost offer an excellent position that you'll be able to ride all day long. 2017 Trek Top Fuel 9.8 SL--15.5". MSRP $5,199.99 now $4,999! 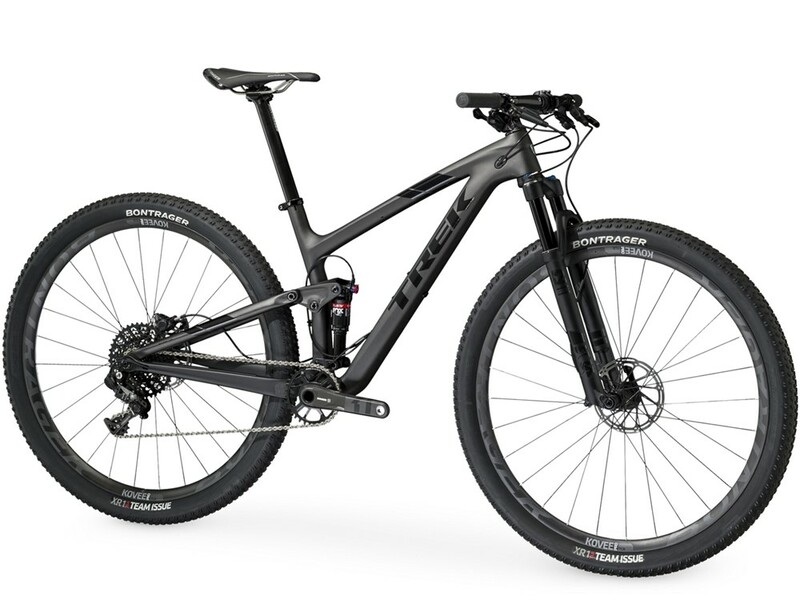 2018 Trek Top Fuel 9.8 SL--21.5". MSRP $5,199.99 now $4,499! The Top Fuel is the fastest bike on the trail. The better-than-ever Top Fuel is the fast, versatile choice for the cross country racer, marathon rider, and the entire Trek Factory Racing World Cup team. Key features include RE:aktiv XC: the smartest, fastest, most efficient shock ever, Boost148/110: for stronger wheels, more tire clearance, shorter stays and Mino Link adjustable geometry that lets you fine-tune your ride. 2017 Electra Indy 3i. MSRP $929.99 now $495! The Electra Indy 3i has been pinstriped, chopped, flamed and stretched for a custom look inspired by the hotrod culture. The modified frames and components like tricked out forks, struts, fenders, handlebars, and tires gives the bike a style its own. 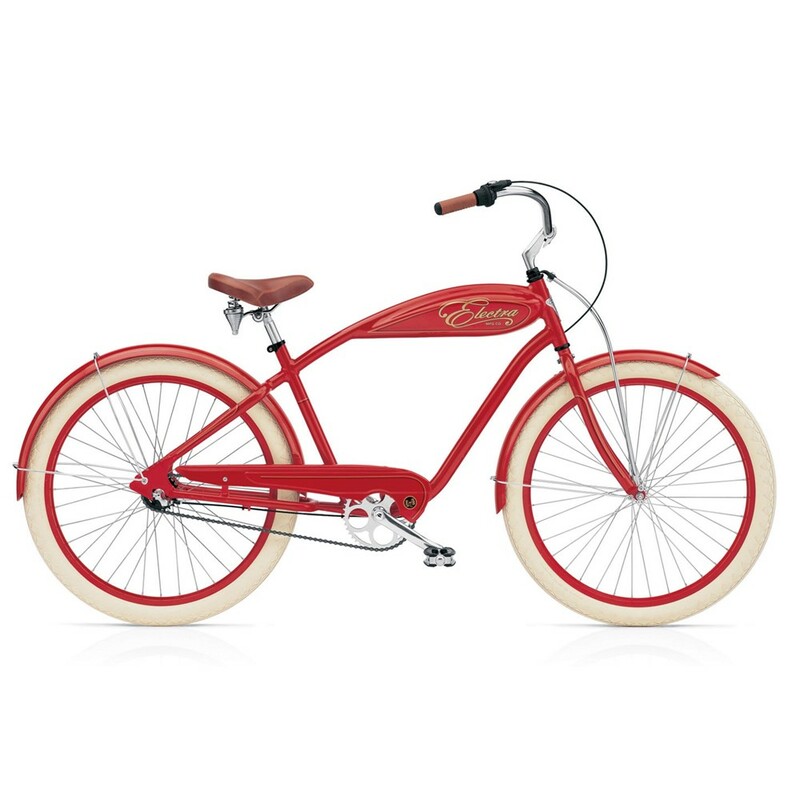 Throw in a little Flat Foot Technology® and you’ve got yourself one sweet ride. 6061-T6 aluminum Bullet Tank frame, Shimano Nexus internal 3-speed w/coaster brake, Shimano front roller brake and hub and a Shimano Nexus Revo shifter adorne the Indy 3i along with vintage-inspired Diamond balloon tires. 2015 Seven Evergreen SL frameset with ENVE CX fork - 55cm. MSRP $4,139.99 now $2,800. The Evergreen SL is a great choice for riders wanting to test their limits over dirt and gravel. The double-butted titanium frame eases the impact of ruts, potholes, and the imperfections of gravel and paved roads alike. The frame is setup up for Di2 components and has fender and rack eyelets and comes with a Chris King headset. The Enve CX fork was developed to improve the ride experience and is compatible with high volume tires for more adventurous endeavors. You can run 45mm (1.9″) tire with a 700c wheel and up to a 50mm (2.0″) tire if you are running 650b. This frameset was once built up but never ridden or sold. Other than skewer caps marks, it's in perfect condition.